I can hardly believe that summer is around the corner. We just got a few vegetables planted, and now the forecast is predicting 90 degree weather later this week. With all the warm weather comes barbeques, and of course the Fourth of July. 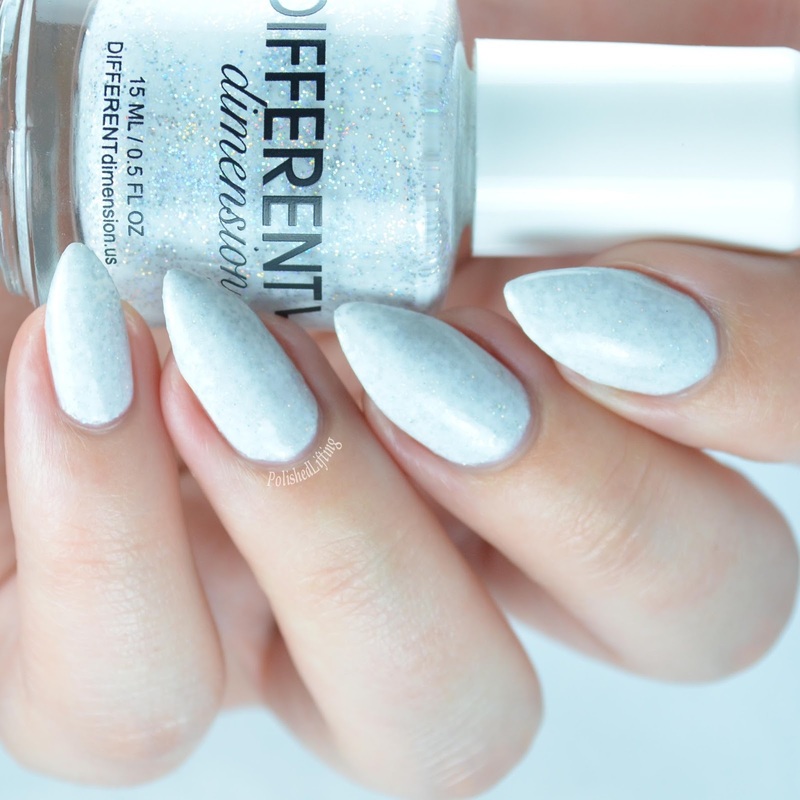 Doing an Independence Day themed collection could be boring, but I feel like Different Dimension's All American collection is anything but that. It's packed with the expected red, white, and blue, but it also includes a massive amount of sparkle. Finish: Red jelly polish with holographic micro glitters. Notes: This sparkly red delight is sure to please. It dries with a slight texture that doesn't personally bother me, but if you want an entirely smooth finish I would recommend a second layer of top coat. Finish: White creme polish with holographic micro glitters. 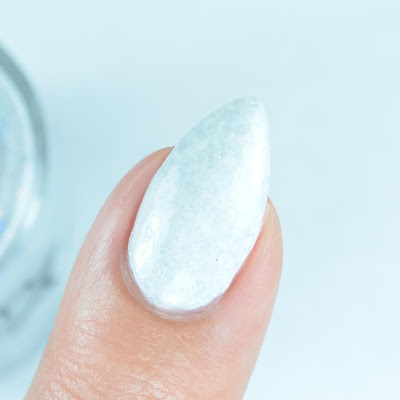 Notes: The mixture of this bright white combined with a flash of holo makes this such a fun shade. The holo isn't nearly as noticeable as it is in Opportunity or Liberty, but I think it's still enough to stand out. This dries with a slight texture, but it's less noticeable than Opportunity. 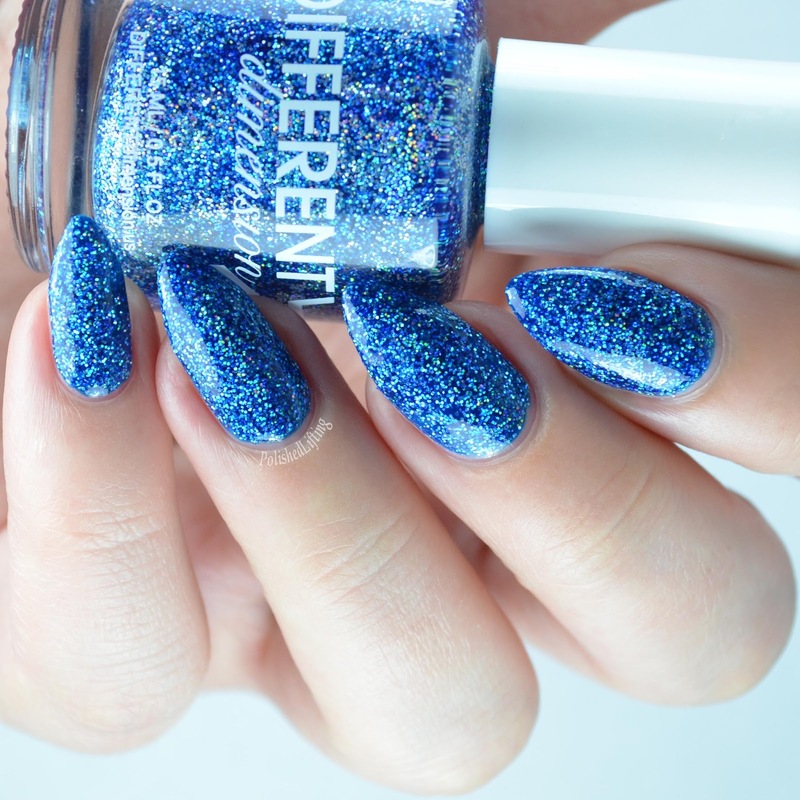 Finish: Blue jelly polish with holographic micro glitters. Notes: This shade is equally as brilliant as Opportunity. If you enjoy that holographic twinkle, you really can't go wrong with this shade. Liberty dries with about the same amount of texture as Opportunity. You may find that you need a second coat of top coat. 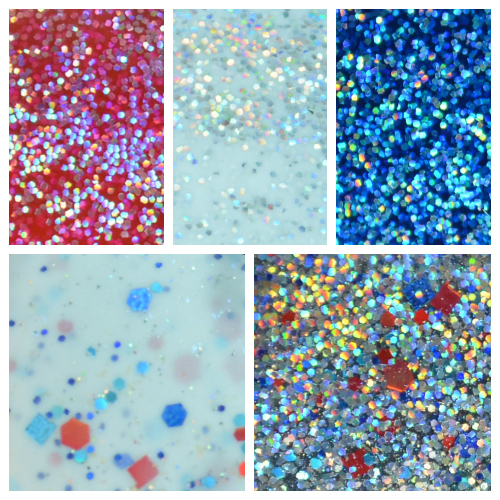 Finish: White crelly polish with added shimmers, red, silver, and blue holographic glitters. Notes: Justice has a tricky holographic shimmer that was nearly impossible for me to capture in my swatches. If you glance at the macro collage you can see them best there. They are far more noticeable in person than they are in my swatches. 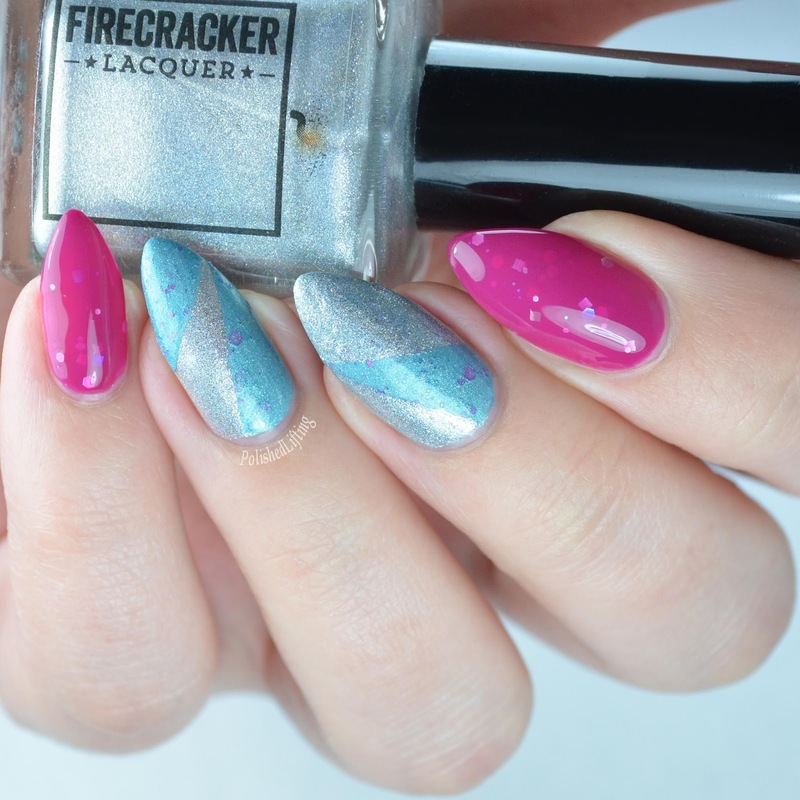 Finish: Silver holographnic glitter polish with red and blue holographic glitters in a holographic base. Notes: I heard you liked holo, so I put some holo with your holo. All jokes aside, this speaks to me on all levels. If it's sparkly, you better believe I'm interested. This may requre two layers of top coat to smooth out the glitter. 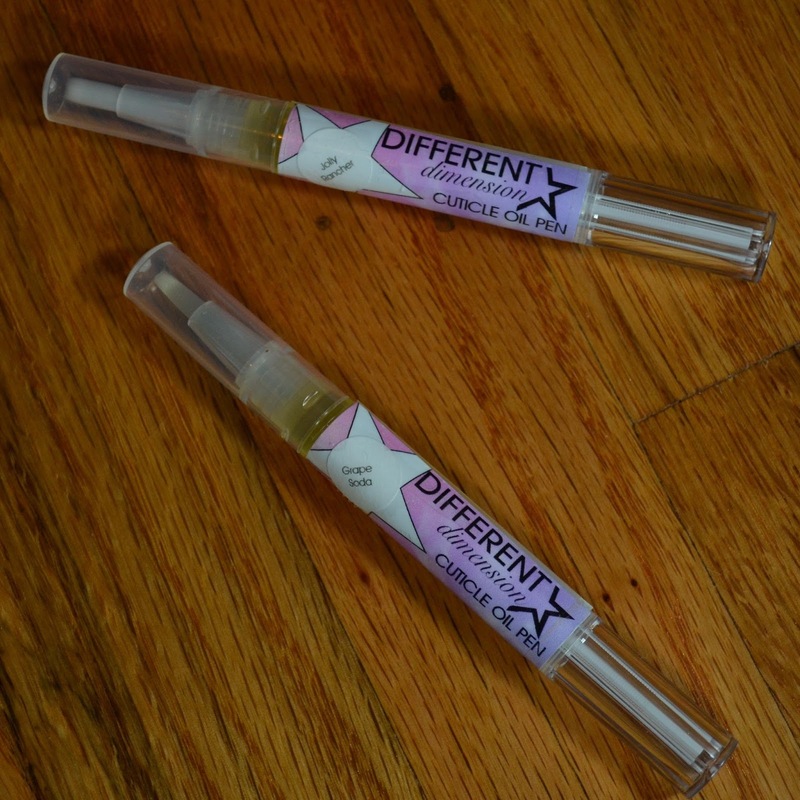 In addition to the All American collection, I had the opportunity to try out two Different Dimension cuticle oil scents. While I wouldn't normally pick grape soda as a scent or flavor, I absolutely loved it. I expected it to smell like the dreaded cough syrup of my youth, but I found the scent to be quite pleasant. As for the Jolly Rancher scent, I was sold by the name alone. It smells exactly like a watermelon Jolly Rancher without being sickenly sweet. There isn't usually much to say about a cuticle oil formula unless it soaks in lightning fast (this never happens). It took an average amount of time to soak it, and it left my cuticles happy and hydrated. The All American collection is limited edition and will only be for sale for a short period of time. The whole collection will retail for $40. Individually they will all be priced at $10 each, with the exception of Justice, which will retail for $5. The collection will be listed for sale on June 10th at 9pm EST in the Different Dimension store. 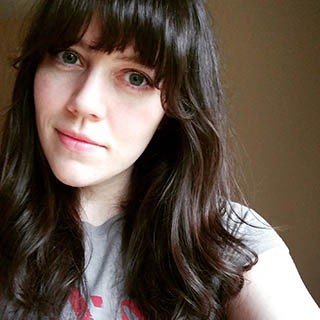 I've been doing some reading on how to make this blog better. Most of my reading has been on writing copy, and how to find your voice. I'm admittedly shy, and I'm afraid that comes through on my blog more frequently than I care to admit. I'm one of those people who is really quiet until you get to know me better. If I've ever come off as standoffish, it was completely by accident. I enjoy interacting with all of you, so please feel free to leave me comments. 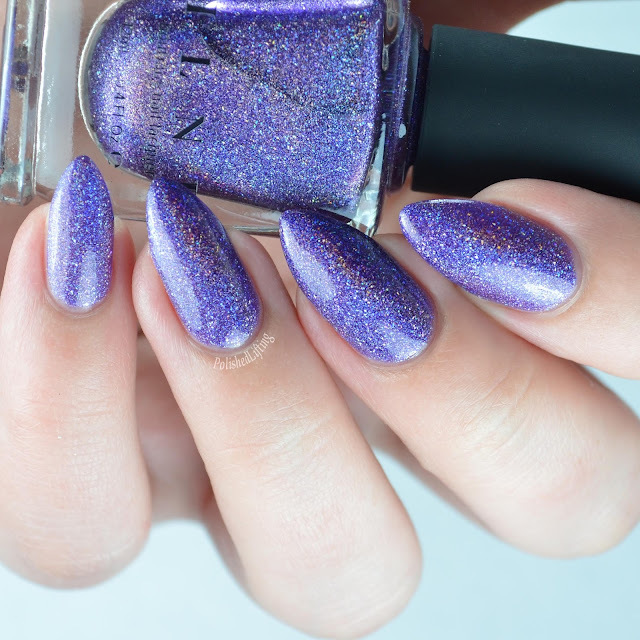 Today's post features my first Ever After Polish shade. I know that I've swatched a couple of Ever After shades before, but this was hanging out in my untrieds. 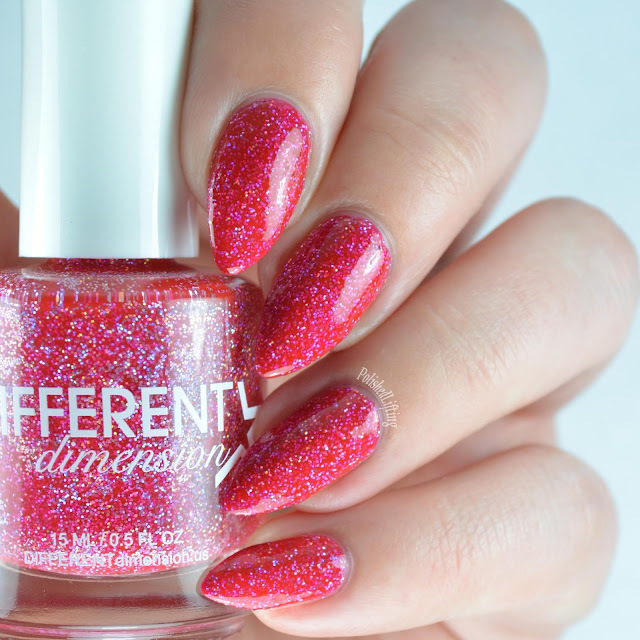 Ever After Polish Burning Twilight was originally a custom created for Traci at Newsie Nail Novice. It became quite a hit, so it was released publically some time after that. We had a rare bout of sunshine, so I have outdoor swatches in addition to my usual indoor ones. Notes: This is one of the more unique uses of shifting flakies that I've seen. 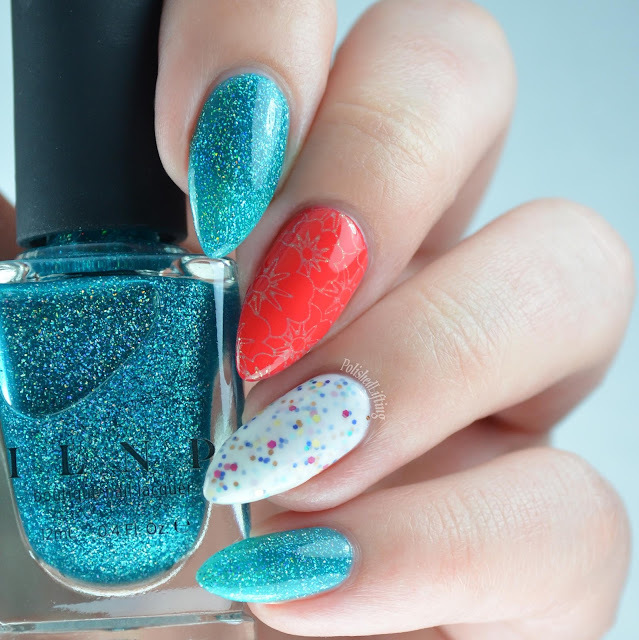 I'm quite fond of the contrast between the warm flakies and the cool blue. I'm quite fond of my first Ever After Polish shade, but I feel like I need to address the shipping. * One thing I would like to note about the whole experience is that it took quite a long time to get my polish. Their policies state 2-14 days just to ship, but it took significantly longer than that. I went back into my Paypal history to verify the time frame. I paid for my order on January 15th, it was marked as "shipped" on February 13th, and it arrived on March 2nd according to USPS tracking. To break that down for you, it took 29 days to get a shipping label, and another 18 days for it to arrive at my house. That's a grand total of 47 days from ordering to delivery. I'm no Veruca Salt, but I don't expect to wait over a month and a half to get something I paid for. *Edit: I want to add that Burning Twilight was a preorder shade. From my memory, there was no eta given on shipping. Please disregard the prior statement. It appears as though there was a mix up as I had a swatch package that was shipped around the same timeframe. Both shipping numbers were displayed on my Paypal invoice, and I overlooked the second one. I did feel like shipping took longer than I expected, but not anywhere near the amount of time I suggested in my previous statement. I'm incredibly sorry for the mix up. I absolutely love Burning Twilight. You can currently find it for sale at the Ever After Polish website for $11 plus shipping. Happy Wednesday! While I don't have a post for you here, I happen to be guest posting over at Monis Mani today. Please take a moment to visit her and leave a comment while you're there. She's currently recovering from surgery, so keep sending her good thoughts! What happens when you have a ton of bright colors in your untried drawer? Something magical of course! This wasn't really something I planned out, rather a random grab of colors that I thought might look nice together. I want to kick this look off with a close up of ILNP Harbour Island. It's a squishy and delightful blue that's sure please. 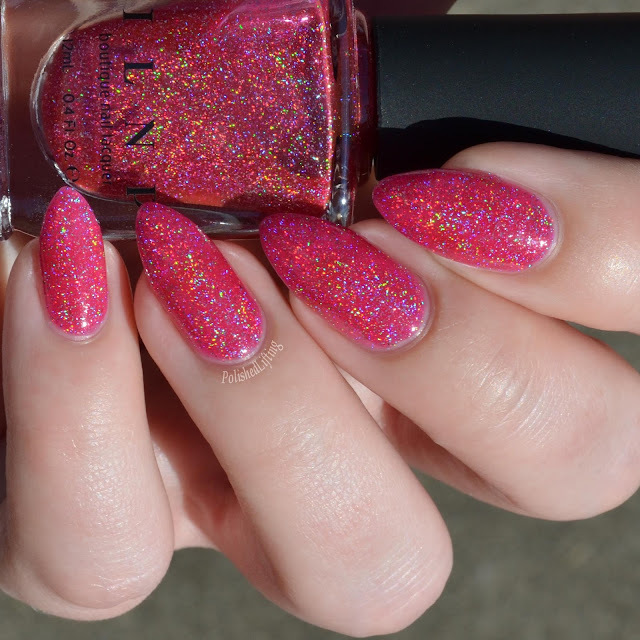 If that didn't sell you on ILNP Ultra Holos, I don't know what will. The formula on Harbour Island is quite nice. My swatches show three thin coats of polish. The only downside (which is purely subjective) is that Harbour Island doesn't provide anything near full coverage. For some people that's no big deal, but I personally don't care to see the visible nail line. For this look I started with Bliss Polish Oh My Confetti, and then did my best to match the glitter to other nail polish colors. I really wanted something bright and playful, and I think I managed to achieve that. I was so worried that it was going to look too busy, but I'm happy with how it turned out. Choosing colors for a manicure can be tough sometimes, so I would love to hear your thoughts. 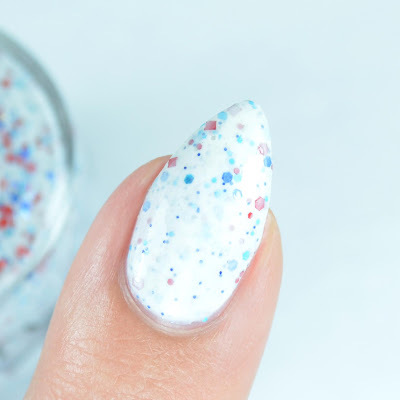 How do you pick polish when assembling a mani with multiple colors? I sure hope you aren't sick of all of these ILNP posts yet because I still have a handful of shades to share with you guys. I don't often purchase purple shades because I have so many of them, but ILNP Walking Home caught my eye. 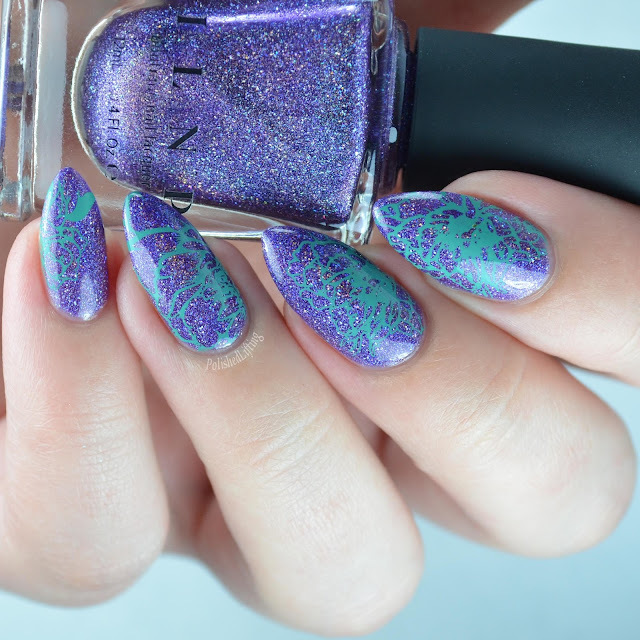 There's something about holo flakies that I just can't get enough of. Notes: That holo on holo action is what made this shade for me. You didn't think I was going to let you go after a couple swatches, did you? If I have time, I will always add some kind of nail art. The artwork for this mani is some kind of flower, perhaps a peony? I don't know what the flower is, but I love stamps like these. 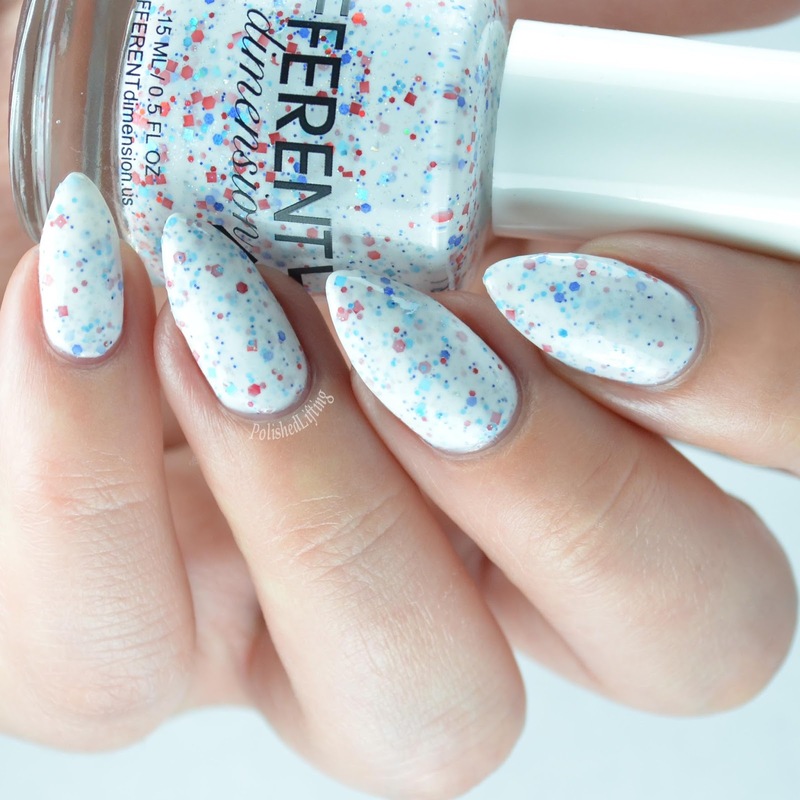 If you were to divide your polish collection, which color would you have the most of? I think mine would be an even split between purple and blues. There are a couple brands that continue to "wow" me every time they release something new. ILNP has always been one of those brands for me. That's saying something since I've been into indies for four years. When I saw their spring collection I knew I need to pick up a couple of them asap. Of the eight shades I purchased, I decided to wear Jello Shot first because it looked ultra squishy in the bottle. Let's start off with a couple of swatches. Notes: I almost expected this to be a little thicker because of the jelly formula, but I was pleasantly surprised at how nice the consistency was. We all know by now that I can't seem to leave anything alone, so I stamped over this using Sally Hansen Insta Dri Lickety Split Lime and UberChic 8-03. I originally wanted to use the smaller floral image that matches this (the upper right corner of plate 8-03) but the image wouldn't pick up cleanly. What do you guys think of the new ILNP shades? Are they must haves, or something you would pass on? With summer creeping around the corner, I felt it was only appropriate to bust out my Bohemian Polish Washed Out 2.0 collection for a water marble. Now it's been a while since I've done a water marble, so my skills are a wee bit rusty. Hopefully you guys can forgive my mistakes. I'm not going to go into detail on how to do a water marble, but you can find my previous post with tips here. I'm hoping with some additional practice I will be able to eliminate the water bubbles completely. If you have any tips on getting rid of bubbles be sure to leave me a comment below! Whoot whoot it's Friday again! I may not have anything exciting planned for this weekend, but I'm still happy for the break. Today's post is focused on the new Uber Chic Beauty Uber Mini: Succulents plate. As a succulent hoarder lover I felt like this was a "must have" for me. I'm not going to share a close up of the plate, but you can find that here. I have mixed feelings about this plate, so let's get down to business by showing what I did with it first. I wouldn't call myself a novice, or even an intermediate stamper. I've been stamping for longer than I've had this blog (3+ years). Would you believe me if I told you it took 45 minutes just to pick up one clear image from this plate? I tried everything you could imagine to resolve the stamping issues. I used a clear jelly stamper, a medium sticky stamper, a hard black stamper, and an even more firm Konad stamper. I varied the pressure and angles of the stamping and scraping. I tried different scrapers, and even different polishes. The only thing that kind of worked was using minimal pressure and a hard stamper. That makes you wonder what the hell is going on with all of this. I noticed two issues with my plate: the plate doesn't lay flat, and it's not etched very deeply. For the uneven plate, I found that if you hold it flat using your non-scraping hand, you can usually flatten it enough to get an even scrape. Images along the edge are particularly difficult because of the bend, and are only slightly improved by pushing down to flatten the plate. To pick up the image it comes down to how you scrape, and how lucky you are. Yes, I am saying that luck plays a part in this. If you scrape to the point where you see a clean image you've scraped too much polish off. If you scrape lightly where the image looks muddled and/or obstructed by extra polish you have a 33% chance of picking the image up and having it be clear. The other 66% of the time there actually was polish obstructing the image. I've noticed that some people are having no issues with this plate. I have two theories as to why this may be the case. Either their plate is just fine, or they are using a non-nail polish product like Mundo de Unas to stamp with. That's a whole other beast I won't get into, but MdU should not be available for public use. While I hate writing such a negative review, I felt like it was time to get my honest opinions out there. I've contacted UberChic Beauty about other plate issues on several occasions. I never did a write up on prior issues, but let me give you an idea of what I've emailed them about. One email was regarding an image that did not match the website image. I did not ask for a replacement, I was just letting them know of the error. My last order that was shipped contained the wrong plates because they were labeled with the wrong barcode. Once I received the correct plates, I noticed that they were incredibly warped. It was to the point where I couldn't pick up any image along any of the edges of the plates. They sent out replacements for both collections, but I haven't had the time to try them out yet. 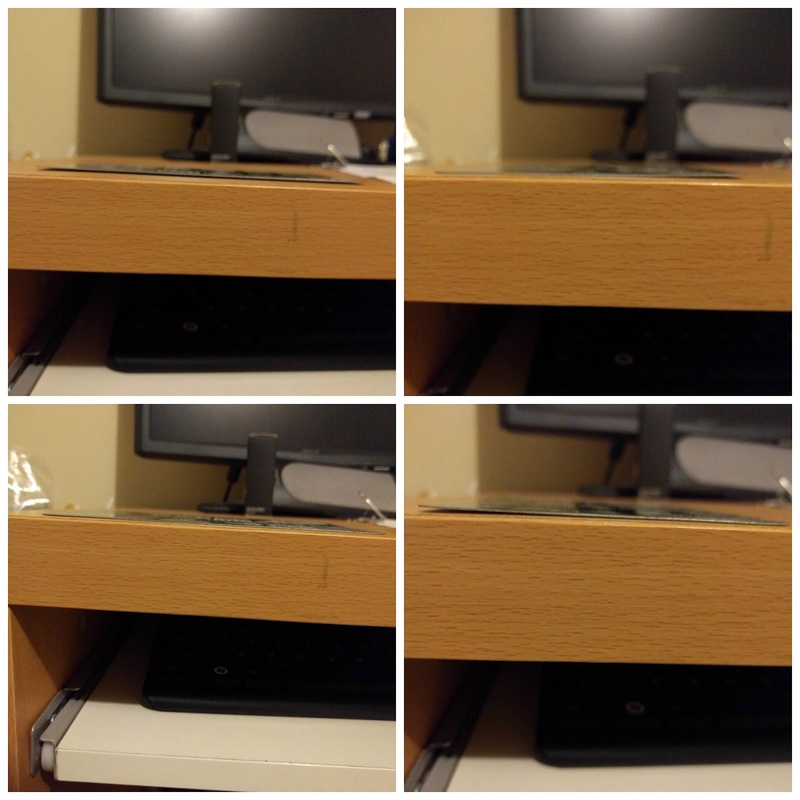 For full transparency, here's a collage of the photos I sent to customer service. I'm at the point where I feel like a whiny customer even though I know that the plates I've received are sub par. I don't plan on contacting them about this plate because I just resolved an issue with all of the other plates that were part of this order. While their customer service is polite and prompt, I feel like their quality dipped as their popularity rose. For this reason, I don't see myself purchasing from UberChic Beauty anytime in the future. That said, I do love the plates I've purchased (once the quality had been fixed) and I will continue to use them. Sorry to leave you guys hanging this week. Life got unexpectedly busy, and I didn't have any backup posts scheduled. Spring and summer are super busy for us for a handful of reasons. We are still working on getting our yard to where we want it to be, and we both love hiking when the weather permits. I'm going to do my very best to have at least 2-3 posts per week from here on out. 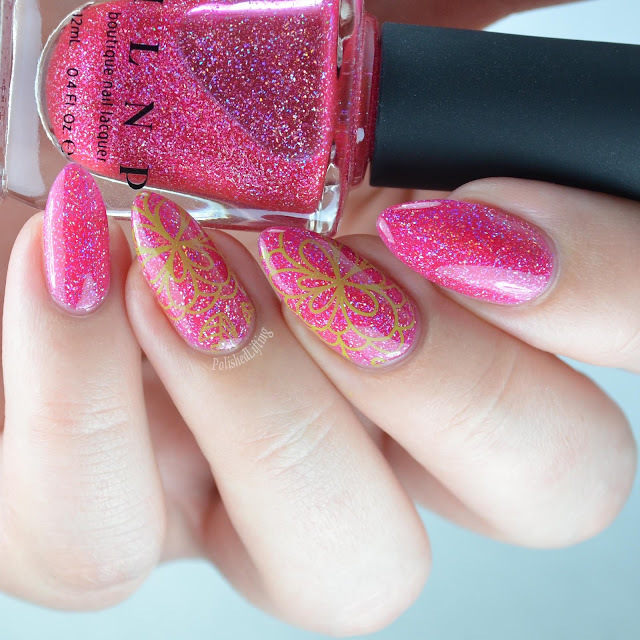 Today's post features Painted Polish Forever Friend Zoned from her Valentine's Day collection. Let's have a look at this sparkly gem. Notes: This may be a little thick, but I personally prefer it that way to avoid using a third coat. 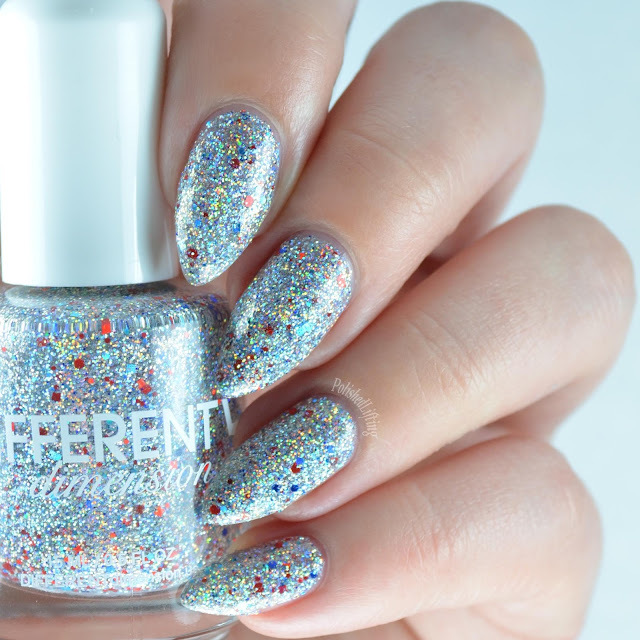 This shade has a lot more depth than your typical holo. Forever Friend Zoned is currently available through the Painted Polish website for $12. I'm not sure how long this shade will stick around. If you like it, I would make a point of getting it soon!